Honestly, I wanna see you get a song parody in SNL. Here at the Swift Agency, just a guy who does have other artists that he looks up to besides the Blonde With The Sparkly Guitar, we were really laughing it up during NBC’s Saturday Night Live pre-recorded sketch. 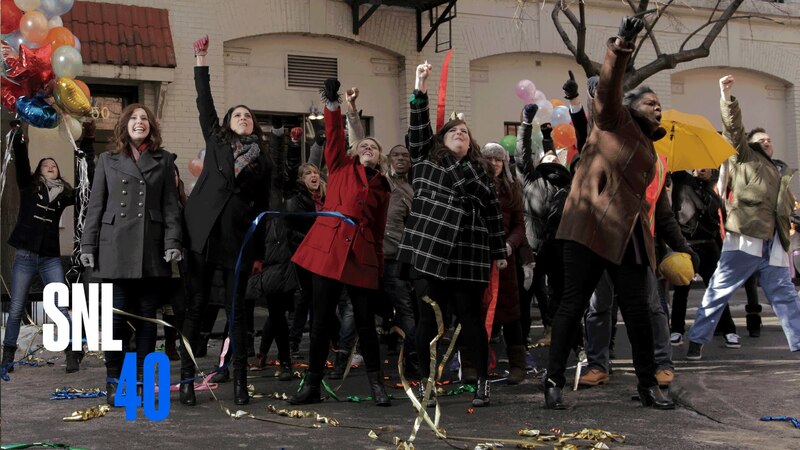 SNL chose to make a music video parody using Sara Bareilles’ hit song “Brave”. The inspirational tune was used to break down the ultimate social barrier: when you just want to tell someone off because of some awkward reason. And believe me, this resonates with me for sure. Then again, don’t take it too seriously, ok? Note: If you are not in the US, use this YouTube link instead. The host was Dakota Johnson (2015/02/28), who stars in the movie 50 Shades of Grey. The movie is about errr… I’m gonna not do this. And I’m gonna go away now. March 29: Taylor Swift is nominated for Artist of the Year, Song of the Year for “Shake It Off”, Best Fan Army for the Swifties, and Lyrics of the Year for “Blank Space” for the 2015 iHeartRadio Music Awards. The show will be broadcast on NBC at 8pm ET. Previous Previous post: News Update: Wonderland, You Are In Love and New Romantics, now on iTunes! Next Next post: Beyond The Agency: Caitlin Evanson rehearses & Amos Heller performs for Liz Huett!